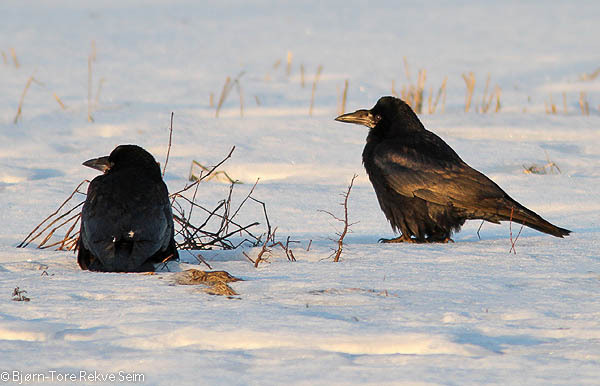 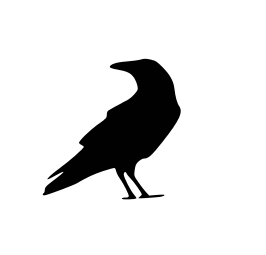 An all shiny black crow with diagnostic bare, pale grey base of bill, and "baggy trousers". 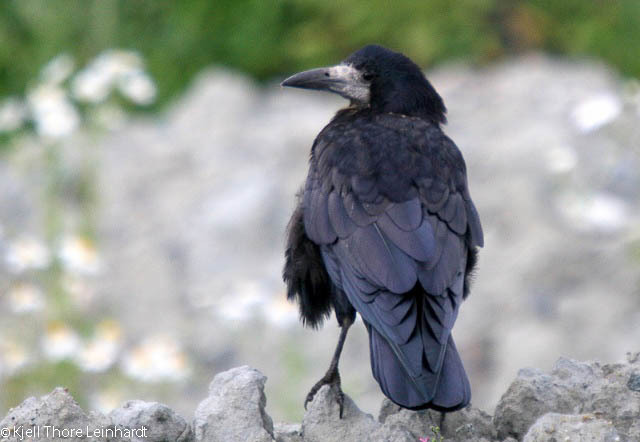 Juveniles lacks bare bill base and are difficult to separate from Carrion Crow. 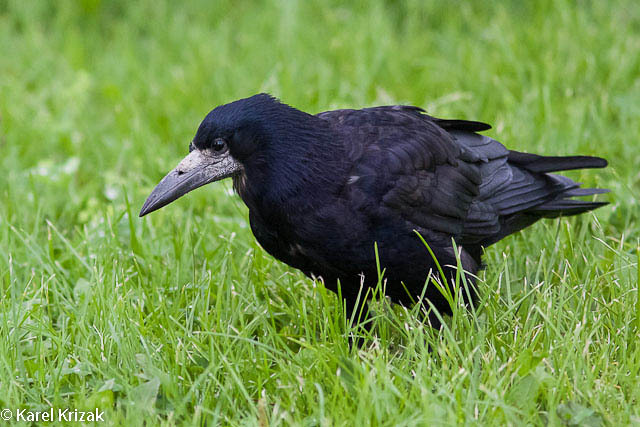 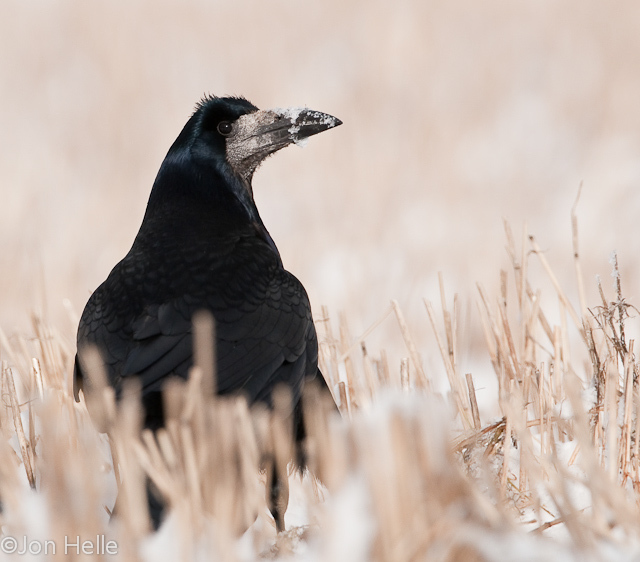 Young Rooks however, has a steeper forehead and more conical bill with less curved culmen. 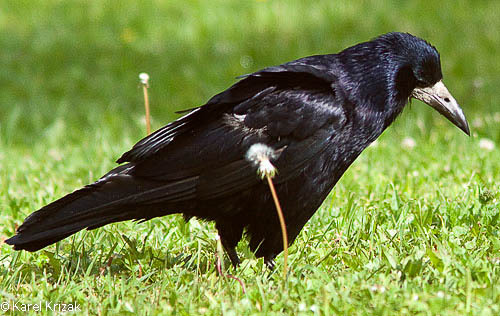 Tail is more rounded and base of wings more narrow. 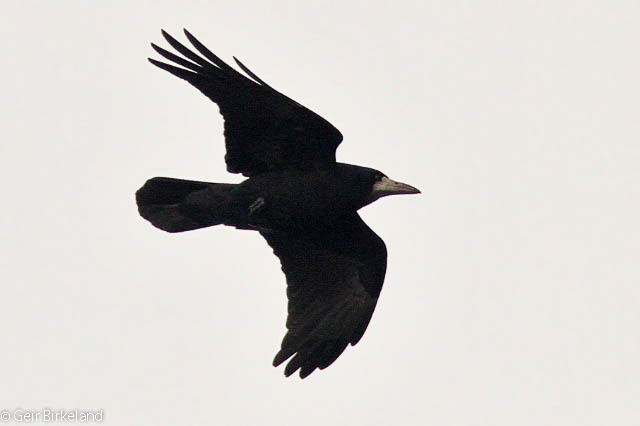 Flight action includes less gliding than Carrion Crow, and individuals are more spread when a flock flies. 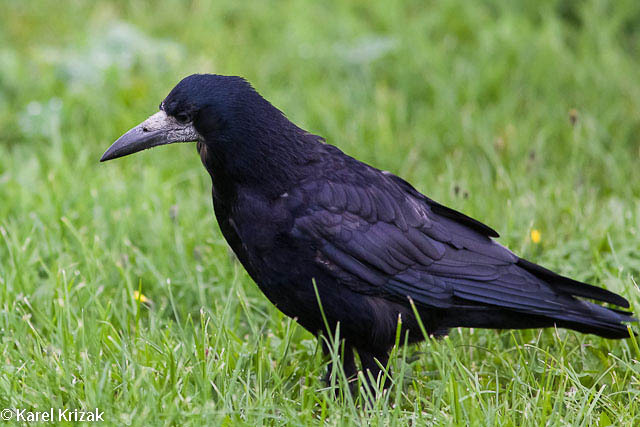 Makes similar caws as Carrion Crow, but is harsher, softer, flatter with less rolling r's. 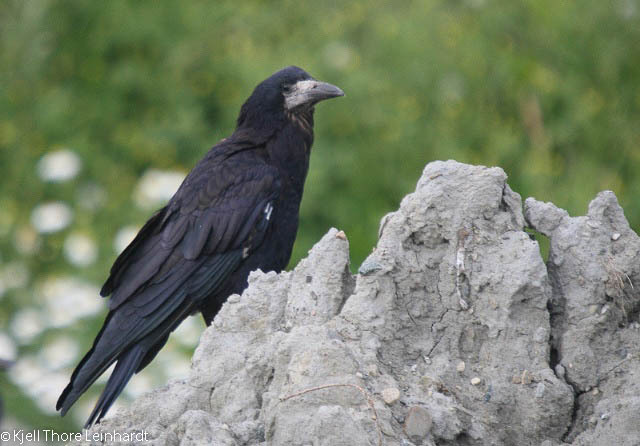 Also gives a varied song of soft gurgling and rattling sounds, interwoven with calls at breeding ground.